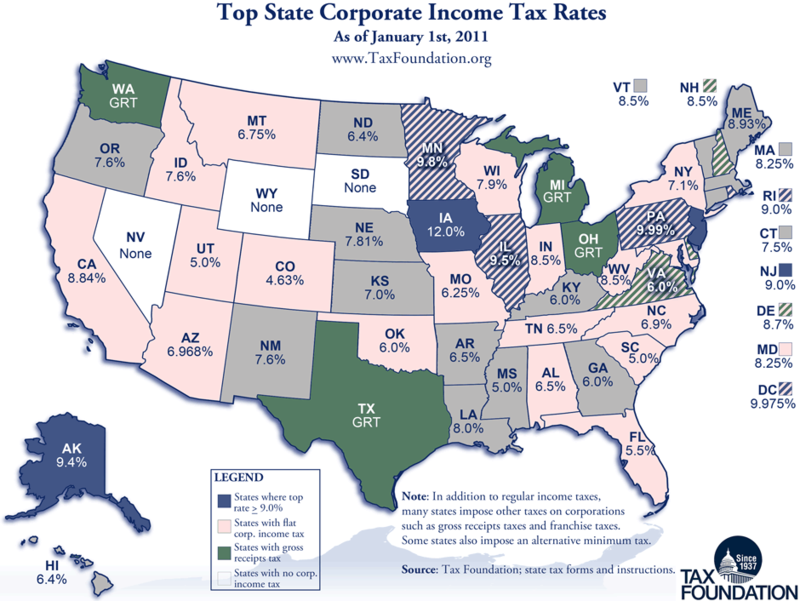 Today’s Monday Map shows the top marginal state corporate income tax rate in each state. States with a top marginal rate higher than or equal to 9% are colored blue; states with a flat (single bracket) corporate income tax are colored pink. States with a gross receipts tax instead of (or in addition to) a corporate income tax are colored green, and states with no corporate income tax or gross receipts tax are colored white.